Hercules C5 ZH885. Image courtesy of Barry Moore. Royal Air Force Brize Norton opened as a training station in 1937. Originally the station was to be named RAF Carterton but instead adopted its current name to avoid confusion with RAF Cardington. On 7th September No 2 Flying Training School (2 FTS) transferred from RAF Digby. On arrival, the FTS was equipped with various Hawker biplanes, specifically the Hart, Audax and Fury. In February 1938 the first monoplane arrived in the form of the Airspeed Oxford, examples of which were gradually delivered over the following months. A new complex of buildings was erected in the South East corner of the airfield, alongside the railway line. This was to be occupied by No 6 Maintenance Unit (6 MU)which officially formed on 10th October 1938.It receivedits first aircraft for storage, a pair of Saro Clouds, in January 1939. 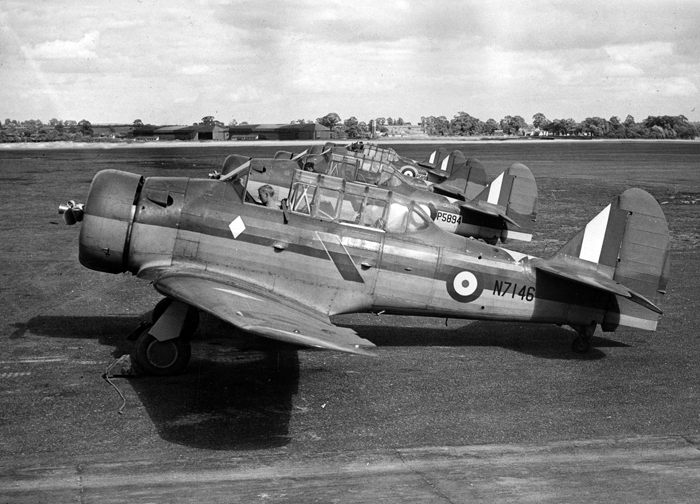 In March 1939 the next step in the modernization of the FTS fleet came with the arrival of the North American Harvard I to join the growing fleet of Oxfords. On 3rd September the unit was renamed No 2 Service Flying Training School (2 SFTS); at this time having 31 Harvards and 44 Oxfords. As the war started Blenheim squadrons were dispersed, with detachments from 101 Sqn and 110 Sqn arriving at Brize Norton at various times until 1942. A notable task for 6MU , early in the war, was the processing of the 30 Gladiator IIs being exported to Finland and Blenheims for Yugoslavia. On11th June 1940 elements of 15 SFTS arrived at Brize Norton from Middle Wallop which was urgently needed by Fighter Command. They stayed until 18th August when their intended base, Kidlington, became available. On 24th June 1940 2 SFTS became a Group II (twin-engined) school with the Harvards leaving and the Oxford establishment increasing to 108. Despite its location, Brize Norton wasn’t immune to enemy action. On 28th July a 2SFTS Oxford was shot down and on 16th August two Ju 88 intruders attacked the station and thirty-five Oxfords and eleven stored Hurricanes were destroyed. For the next 18 months 2SFTS continued its invaluable task of producing trained pilots, mainly for Bomber Command. No. 1525 Beam Approach Training Flight was formed in February 1942 with 8 Oxfords and affiliated to 2SFTS. On 14th March 1942,2 SFTS was re-designated No 2 Pilot Advanced Flying Unit (2(P)AFU).However, after a review of pilot training requirements, 2(P)AFU was deemed surplus to requirements and disbanded on 13th July; 1525 BATF moved to Bircham Newton. However, the station was immediately re-occupied. The Heavy Glider Conversion Unit (HGCU,) which had formed 2 weeks earlier, arrived on 15th July with 34 WhitleyTugs and 50 Horsa Gliders. On 2nd March 1944 the HGCU moved to RAF North Luffenham, freeing Brize Norton for an operational role. By 14th March 296 and 297 Sqns had moved in, with their Armstrong Whitworth Albemarles, to support the invasion of Europe. Gliders were collected from dispersed sites and intensive training was undertaken in preparation for the invasion. In the early hours of 6 June Albemarles from Brize Norton took elements of 5 Airborne Division to Normandy to rapidly prepare a landing ground. Later in the morning, 17 Horsas from Brize Norton arrived. This was part of Operation Deadstick intended to capture the bridges over the Caen Canal and the Orme River now known as Pegasus Bridge and Horsa Bridge respectively. Two more Horsas were delivered by 297 Sqn to the site of the Merville coastal gun battery which posed a significant threat to Sword beach. 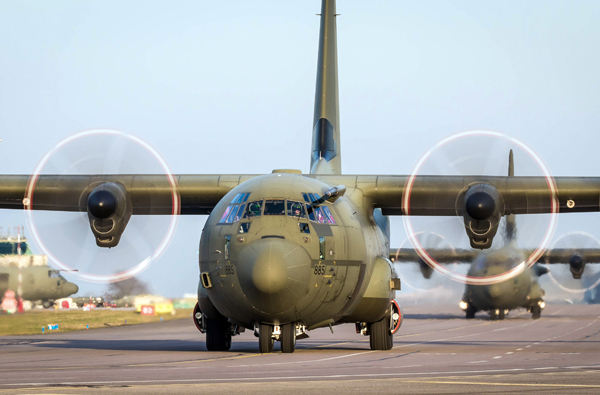 The “Longest Day” was still not over as in the evening 40 Horsas from Brize Norton carried elements of 6 Airlanding Brigade to participate in Operation Mallard, the main part of the airborne operations. This Brize Norton contingent was part of a force of 256 gliders to be launched that night. The Albermarles continued to fly resupply missions in support of the invasion until 15th September when, to reduce the distance to their drop zones, they were detached to Manston. 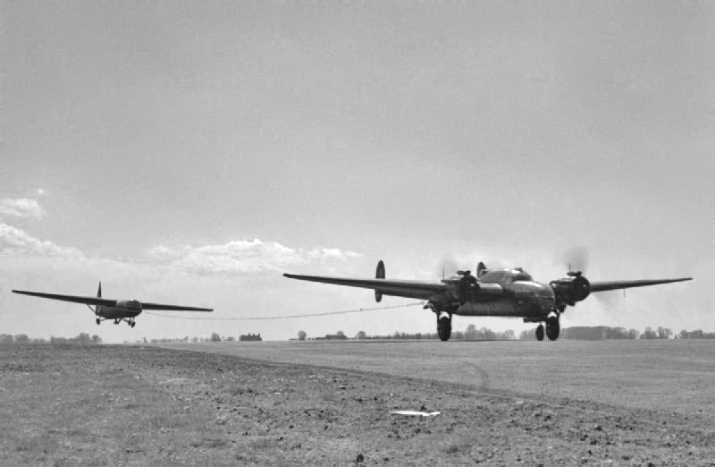 From Manston each squadron took part in two missions in support of Operation Market, the airborne element of Op Market Garden before returning to Brize Norton. However, they didn’t remain for long because on 29th September 296 Sqn moved to Earl’s Colne to be joined a day later by 297 Sqn. With an urgent need to replace glider pilots lost during Operation Market, the HGCU returned on 16th October prior to splitting on 20th October. After this, part, designated 21HGCU, remained at Brize Norton. The initial establishment of 21 HGCU was 41 Albermarle tugs and 35 gliders, mainly Horsas but with some Hadrians. 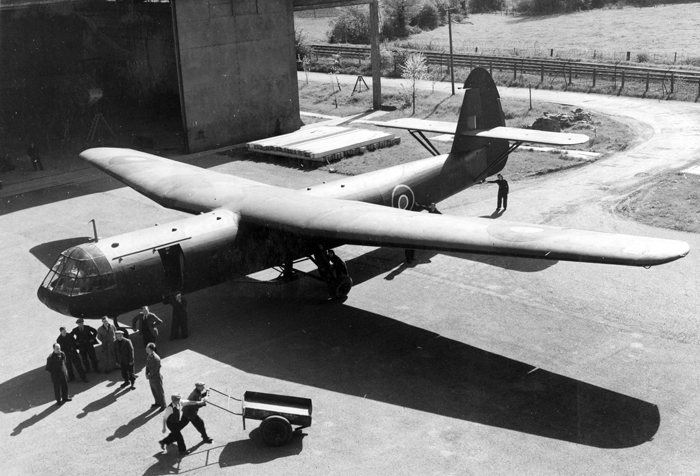 21 HGCU remained at Brize Norton until the 31st December 1945 when it left for Elsham Wolds. Shortly before it left the Albemarles were replaced by Halifax Vs. Throughout the war and beyond, 6MU continued its valuable work. Unsurprisingly, it had become closely associated with gliders and continued to store and maintain the operational glider reserves until it closed in 1951. With the end of the war the unit gained an interesting new role. This was the support of the over 200 enemy aircraft that were ferried to the UK for examination and testing. Among the types that appeared at Brize Norton were Ju52, Ju88, He162, Do217, He219, Ar234 and Me410. On 31th December 1945, 21 HGCU was replaced by the Transport Command Development Unit (TCDU). This unit operated an extremely wide variety of equipment including transports, gliders, communications aircraft and the Hoverfly helicopter. The TDCU stayed until 1st July 1949 when it moved to Abingdon. A familiar unit returned on 5th September 1946 when 297 Sqn returned, with Halifax A7 and A9 aircraft, arriving from RAF Tarrant Rushton. On 21thAugust 1947 the squadron left for Fairford. As the TCDU left,elements of the Central Flying School, including the Examining Wing, moved in with theirHarvard’s, to be followed on 15 August by the De Havilland Mosquito TIIIs and BVIs of No. 204 Advanced Flying School. 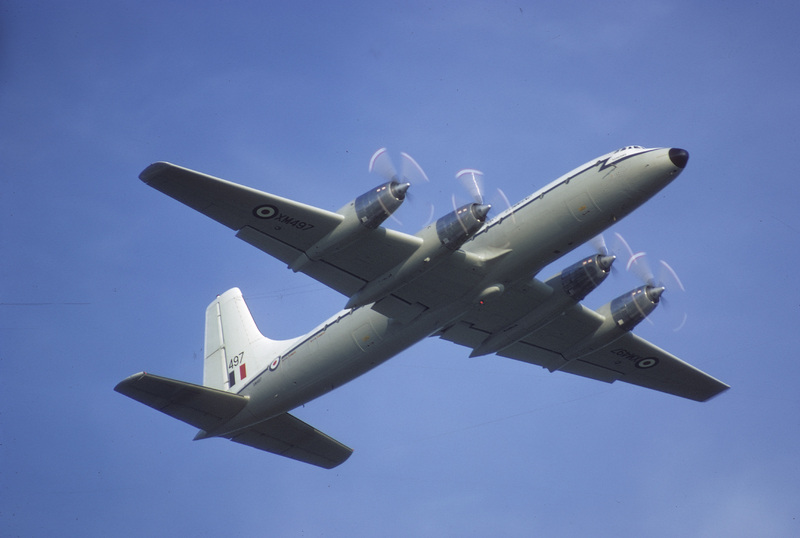 By June 1950 both Flying Schools had left RAF Brize Norton. This was to allow for a major change in the station’ role. On 1st June 1950 the station was transferred to Bomber Command. In response to the onset of the Cold War,plans were developed for the deployment of SAC units to the UK. The initial deployments were to wartime bomber bases in East Anglia including Lakenheath, Marham and Sculthorpe. However, the increased range of the current bombers allowed them to be withdrawn behind the fighter defenses. Four bases in Berkshire and Oxfordwere selected. One of these was Brize Norton. The 7503rd Base Complement Squadron had arrived from Marham in June 1950. At the same time airfield construction units arrived and development began. 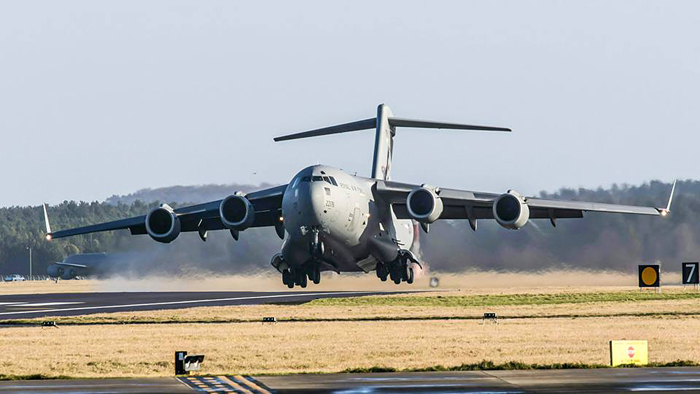 The USAF invested heavily in Brize Norton, extending the runway from 6000ft to 9000ft, cutting the Black Bourton Road, constructing new taxiways and dispersals, and building new accommodation and special weapons storage and handling facilities. On 18th March 1951 the 7503rd was re-designated as an Air Base Wing and on 16th April Brize Norton was officially transferred to USAF. 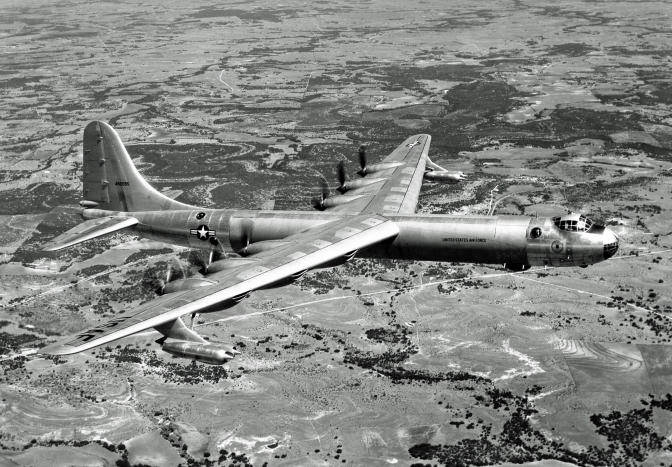 Fourteen months later Brize Norton was ready to start its new operational life when 21 Convair B-36 Peacemaker strategic bombers from the Bombardment Wing (Heavy) arrived for a15-day deployment. In November 1951, Brize Norton was transferred from USAFE to SAC. The 7503rd Air Base Wing was replaced by the 3920th Air Base Group (3920thStrategic Wing from 1964). 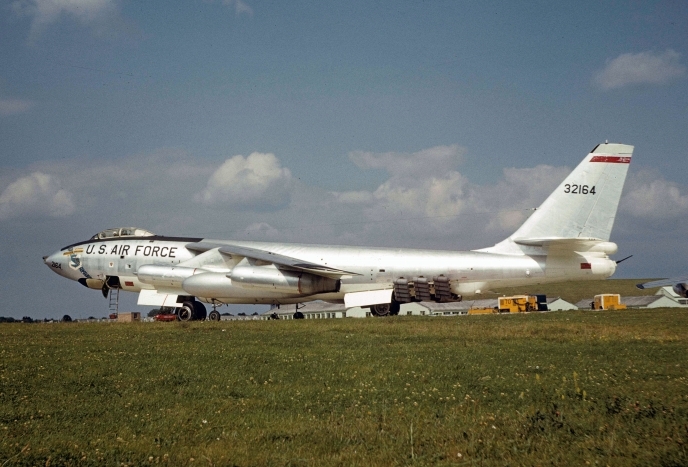 The 3920th ended all operations in 1965, with the final departure of a B-47E on 3rd April 1965. During the USAF occupation of Brize Norton there was a constant stream of rotational TDY units reflecting the developing equipment of SAC. From December 1952 to April 1953 the 301 BW(M) were based with their Boeing B-50 Super fortresses and KB-29P tankers.They were followed by the 43 BW(M) equipped with B-50As. Following a short break Brize Norton welcomed a new sight that was to become familiar over the next 11 years. Units equipped with the Boeing B-47E, or occasionally the B-47B, deployed to Brize Norton on regular 90 day deployments from September 1953. From December1954 regular tanker deployments were undertaken of boom-equipped Boeing KC-97G. Brize Norton closed for runway repairs in December 1955, not reopening for regular operations until September1956. B-47 deployments resumed and in January 1957 the first B-52 to land in Britain arrived in the form of B-52B 53-395 of the 93BW(H). In May 1958 B-52s returned when 6 B-52Ds from the 92BW arrived to participate, with considerable success, in the annual Bomber Command Bombing Competition. 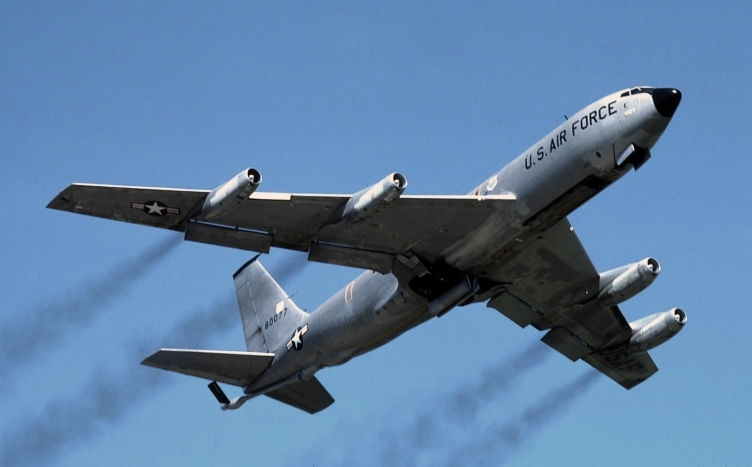 On 28th March 1958 there was another first with the arrival of a KC-135A Stratotanker. On 27th June 1958 2 morearrived from New York in a record time. They returned two days later, also in record time. In April 1959 the was a major change in operational posture when the 90-day B-47 TDY deployments changed to 30-day Reflex Alerts. Full wing deployments of 40 to 50 aircraft were replaced by single Squadron Deployments of about 20 aircraft. Instead of continuing training, the deployed aircraft were maintained on special aprons, at a high alert state, armed with nuclear weapons and ready to launch. There was, in consequence, a major decrease in flying. During the last years of USAF occupation there were an increased number of less usual visitors. These include various reconnaissance platforms includingRB-47s, ERB-47s and U-2s. From June 1964 there were occasional visits by small numbers of Convair B-58 HustlersHowever the USAF contribution to the nuclear deterrent was moving towards strategic missiles and bombers based in the continental USA. Consequently, plans for the rundown of Brize Norton were published on 1st September 1964. Brize Norton was handed back tothe RAF on the 1st April 1965. The last USAF aircraft, a B-47E of the 380th Bombardment Wing left on the 3rd April with all USAF personnel leaving by the 31st May. 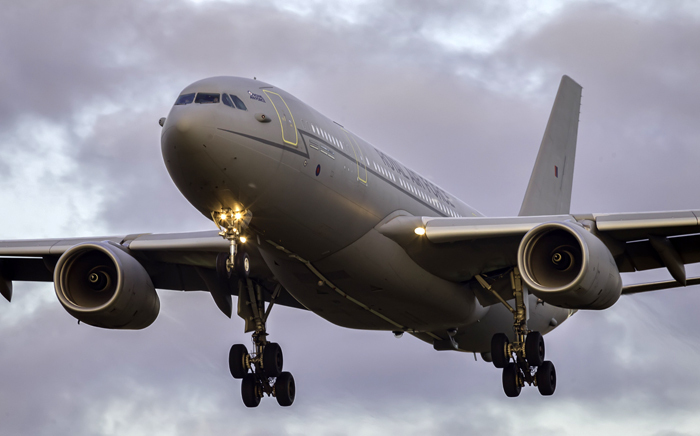 The Royal Air Force intended to use Brize Norton as its future strategic transport hub. Work started soon after the USAF departure to build new terminal and hotel facilities and an extremely large hangar to house the new generation of strategic transport aircraft. It was realized from the start that the new VC10 and Belfast aircraft would be available before the facilities at Brize Norton. As an interim measure, early operations used both Lyneham and Fairford. 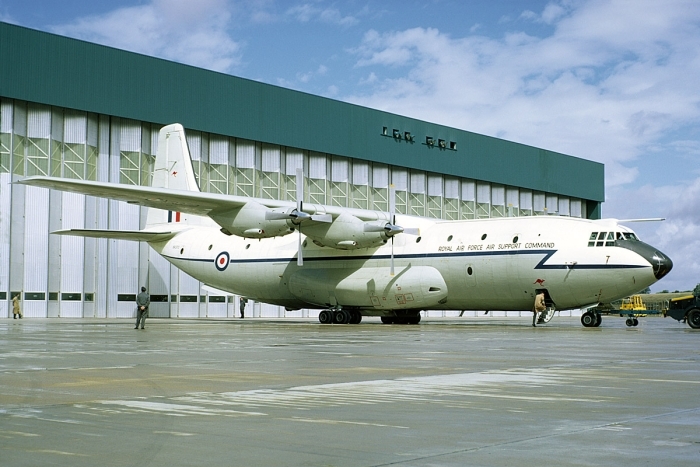 53 Sqn equipped with the Short Belfast C1 freighter started flying on 20th January 1966 and commenced operations in early October. 10 Sqn equipped with the Vickers VC10 C.1 followed on 7th July 1966, with the first operational flight, from Lyneham, on 4th April 1967. 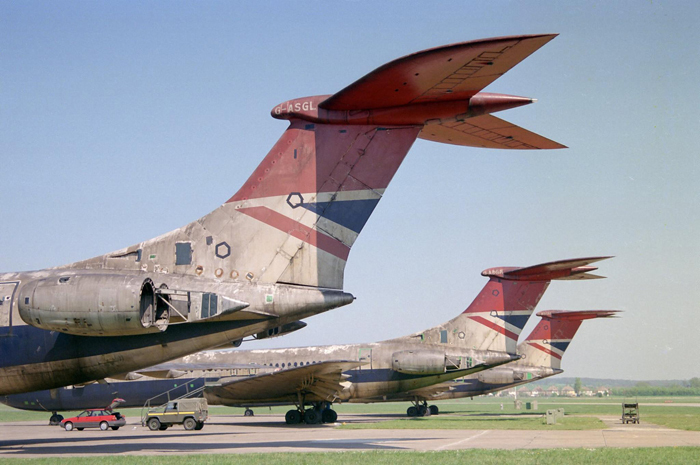 Both squadrons moved to Brize Norton during May 1967 and continued to receive aircraft until the station housed 14 VC10s and 10 Belfast’s.On 1st October 1968 the passenger terminal was finally fully opened and the Brize Norton squadrons were able to operate without support from Lyneham. 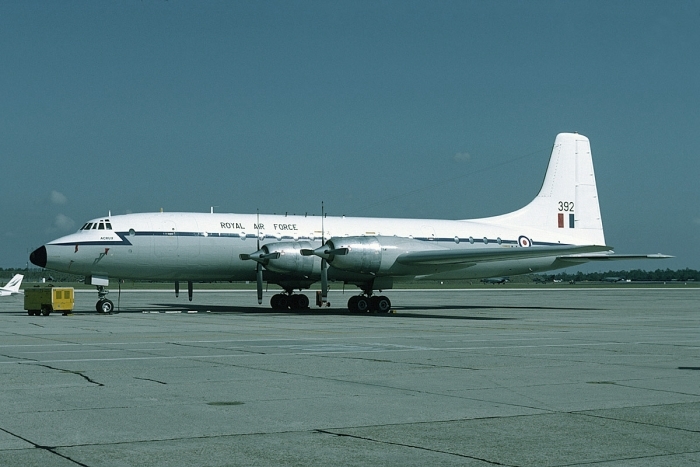 In June 1970, 99 Sqn and 511 Sqn, both operating the Bristol Britannia,moved from RAF Lyneham. At this point Brize Norton was both “full” and busy. The station settled down to a fairly stable existence. One notable exception was the during the Cyprus conflict in 1974 when, in twelve days, 95 operations repatriated 7,500 evacuated family members. However, this stability was not to last for long. With the decision to withdraw from “East of Suez” the requirement for strategic transport was massively reduced. During 1975 the Britannias began to be retired with both 99 and 511 Sqns disbanding on 31st Dec 75. The Belfasts followed from 3rd June 1976 with the squadron disbanding on 14th September, although one aircraft was retained until 3rd October 1977 to carry exceptional loads. Many of the Britannias and three of the Belfasts saw future service with civilian operators. In the case of the Belfast this was particularly fortunate because it allowed them to be contracted to support future conflicts. 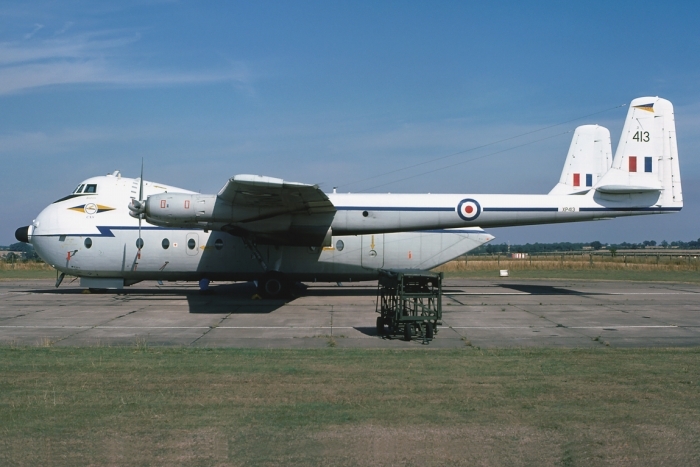 Earlier in 1976, 115 Sqn had arrived from Cottesmore with their Argosy E1s, which were used for radar and radio aid calibration. Between November 1976 and January 1978 the Argosies were progressively replaced by Andover E3s. 115 Sqn stayed at Brize Norton until January 1983 when it moved to Benson. 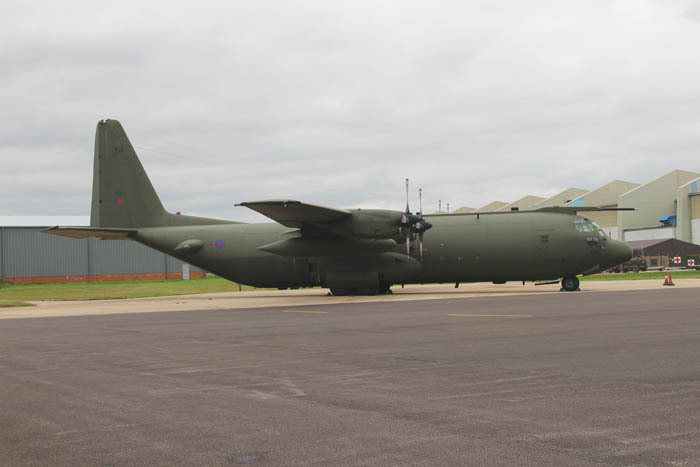 At the same time, spare capacity at Brize Norton was also used to accommodate several non-flying units including 38 Group Tactical Communications Wing (TCW), 1 Parachute School and the Joint Air Transport Establishment (JATE). During the late 1970s the need for additional air-to-air refuelling (AAR)capability, to supplement the Victor K2s, was recognized. In 1978 a contract was signed with British Aerospace to convert 5 ex Gulf Air and British Airways Standard VC10s and 4 ex East African Airways Super VC10s to meet this requirement. The Standards became K2s and the Supers became K3s. All the conversions were fitted with 5 cabin tanks, a centre line HDU and wing refuelling pods. The K2s had high hours on conversion and were all withdrawn by 2001, whereas the K3s, which benefitted from greater internal fuel capacity and very low hours on conversion, would last till the last days of VC10s in service. 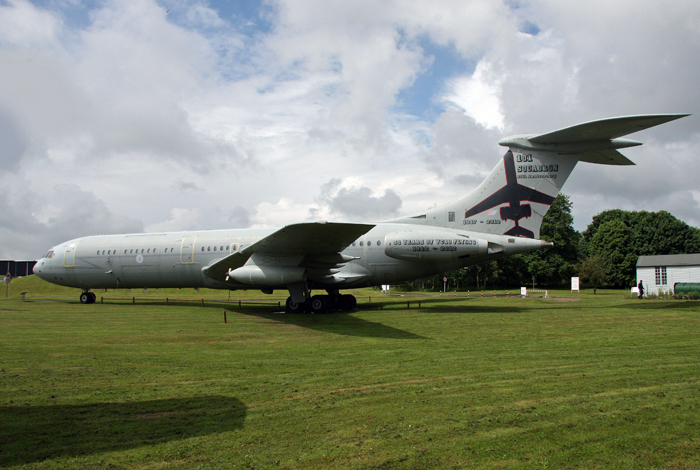 On the 1st May 1984 101 Squadron reformed at RAF Brize Norton to flythe converted civil VC10s. During 1987 the squadron received the last of the nine aircraft from this original order. Following British Airways retiring their Super VC10s in 1981 the RAF acquired fourteen, eleven of which were stored at Abingdon with the other three being stored at Brize Norton. Eventually, in early 1990, a contract was signed with British Aerospace to convert five of the Abingdon airframes. These conversions, designated K4s, differed from the previous conversions in not having the cabin tanks. They were also delivered to 101 Sqn. As part of the K4 contract there was also a requirement to convert the remaining C1s to carry wing refueling pods. In this configuration the aircraft would be re-designated CIKs. The work was sub-contracted to Flight Refueling and the modified aircraft were returned to 10 Sqn between June 1992 and October 1996. The deepening of the Cold War in the early 80s and increased requirements in the aftermath of the Falklands conflict led to the recognition of the need for additional tanker capability and higher capacity strategic transports. 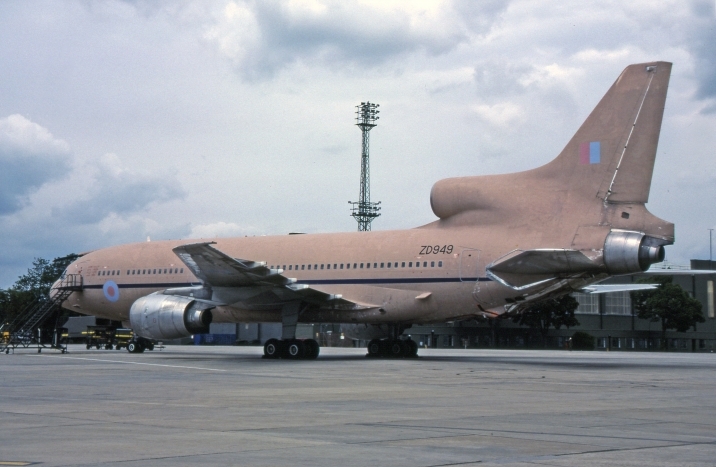 The requirement was satisfied by a bid from Marshall Aerospace to provide converted Tristar airliners, 216 Sqn was reformed at Brize Norton in November 1984 to operate the aircraft. The squadron initially flew six Ex-British Airways Tristar aircraft later joined by three more airframes from Pan-Am. On 2nd August 1990 Iraq invaded Kuwait. A coalition was rapidly assembled with the intention of stabilizing the regional situation and retaking Kuwait. The British contribution to the coalition effort was Operation Granby. 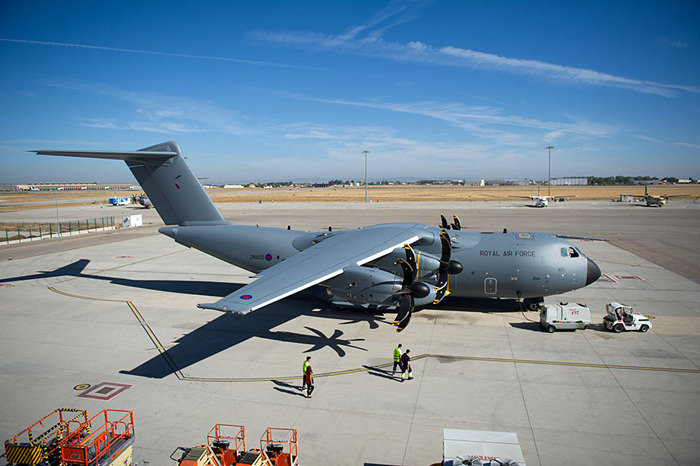 Brize Norton,along with all its units and lodger units, was called upon to make a major contribution to the operation, on the ground in UK, in transport to theatre and in deployed operations. To provide in-theatre AAR, 101 Sqn deployed to Seeb, later Riyadh,while 216 Sqn’s two Tristar KC1s, in a striking temporary “Desert Pink” finish, deployed to Riyadh. 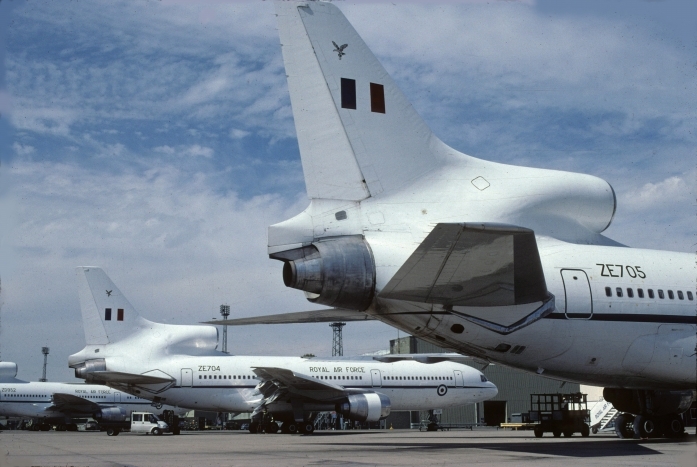 10 Sqn and the remaining Tristars provided strategic airlift into theatre. Brize Norton also provided the UK terminal for passenger and freight charter flights. Large elements of TCW deployed to theatre and JATE worked intensively on issues surrounding unexpected loads. 81 Signals Unit, headquartered at nearby Bampton Castle and parented by Brize Norton, supported air and naval operations. It was also intended that Brize Norton would provide a major hub in the casualty handling plan. The station sits between Oxford and Swindon where hospitals with major trauma units had been selected to receive casualties. Then in early December Brize Norton was cut off for several days by an un-seasonally heavy fall of snow. Local and national priorities for snow clearance were re-written and the Oxford - Brize Norton – Swindon corridor received a high level of priority. When the snow recurred, just before hostilities broke out, the roads were kept clear. During the remainder of the 1990s the station continued to participate in various operations, including those to support no-fly zones over Iraq and NATO operations against Yugoslav forces in Kosovo. 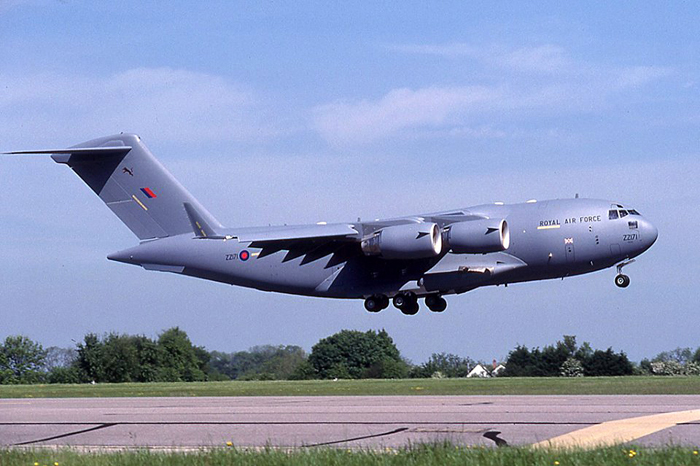 On 23rd May 2001 the first of four leased C-17As arrived at Brize Norton to join a reformed 99 Sqn. In 2008 the first four aircraft were purchased and joined by two more. 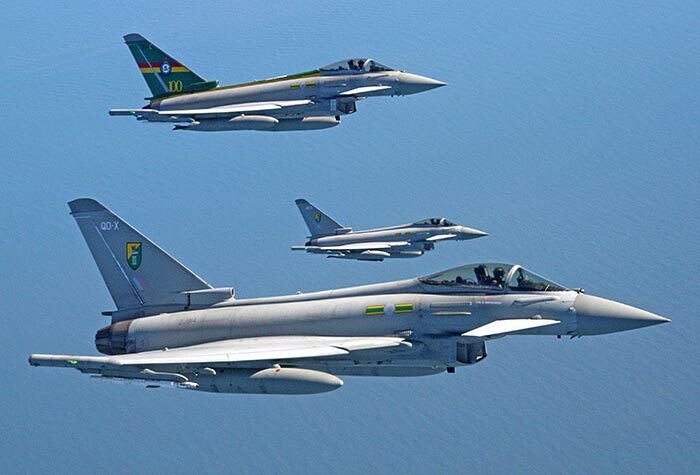 Further aircraft arrived in 2010 and 2012 to bring the final squadron strength to eight. Unlike their American counterparts, the RAF C-17As are used only in the strategic transport role. Throughout the decade the VC10 fleet was gradually reduced, with K2s going first, followed by examples of the C1Ks. On 14th October 2005 10 Squadron disbanded with the remaining aircrew and aircraft joining 101 Squadron. 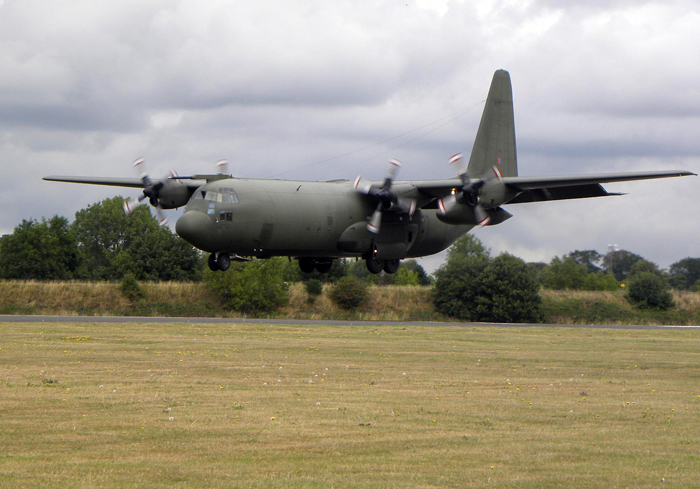 On the 1st July 2011 the RAF Lyneham Hercules Fleet officially moved to Brize Norton with the final four aircraft conducting a fly past over Wiltshire. 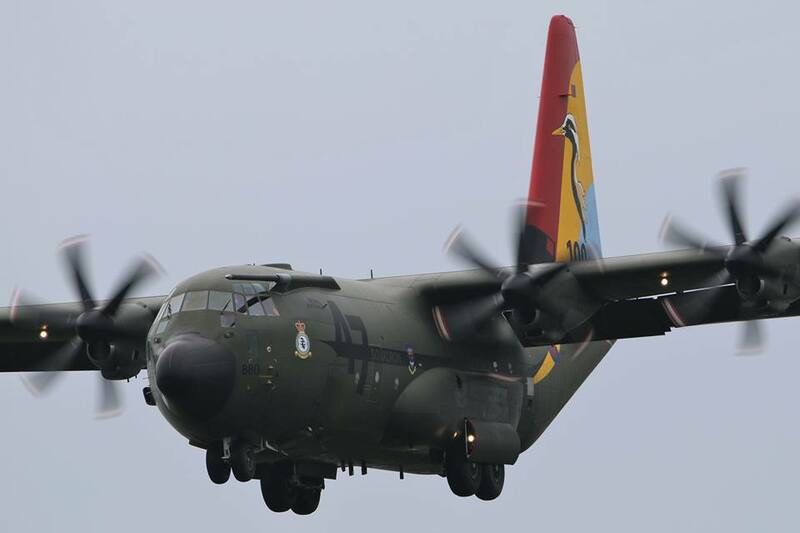 Group Captain John Gladstone, Station Commander of RAF Lyneham flew the lead Hercules carrying the standards of the Hercules squadrons. Another role transferred on the closure of Lyneham was the high profile duty of receiving repatriated service personnel killed while serving overseas. The early years of the current decade saw continual change, with the gradual retirement of the remaining examples of 3 long-serving types and building work to support their replacements. The VC10 was finally retired on the 20th September 2013 when K3s ZA147 and ZA150 carried out the simultaneous last operational sorties including flypasts of major RAF stations and locations significant in the VC10’s history. The final VC10 flight was carried out on the 25th September when ZA147 was delivered to Bruntingthorpe airfield in Leicestershire. 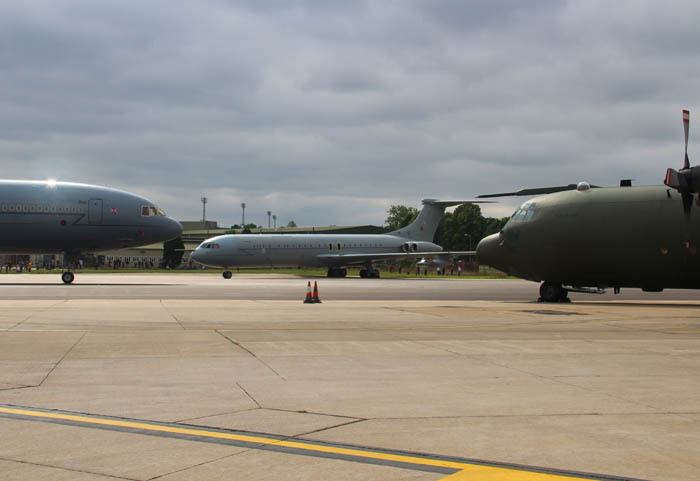 On Sunday 22nd September VC10 K3 ZA147 had been displayed alongside Hercules C3 XV303 and Tristar C2 ZE705 at an enthusiast day to commemorate the passing of these three types at Brize Norton. 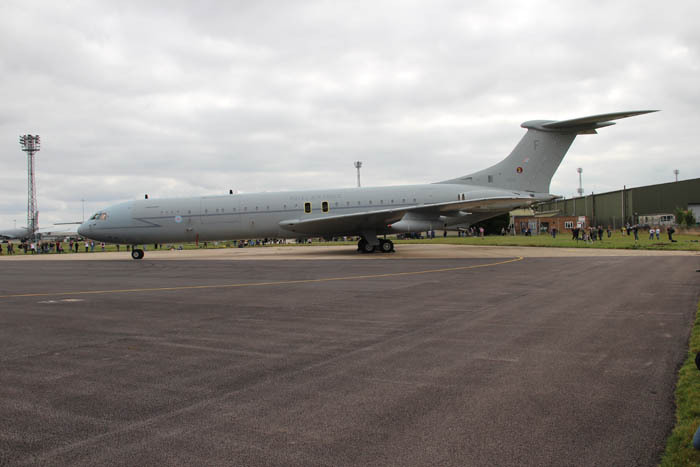 The final VC10 flight was carried out on the 25th September when ZA147 was delivered to Bruntingthorpe airfield in Leicestershire. In contrast to the celebration of the retirement of the VC10, the retirement of the C-130K a month later passed with hardly any comment. The final operational sorties were carried out on 25th October by C3As XV177 (the first aircraft to enter service) and XV214. 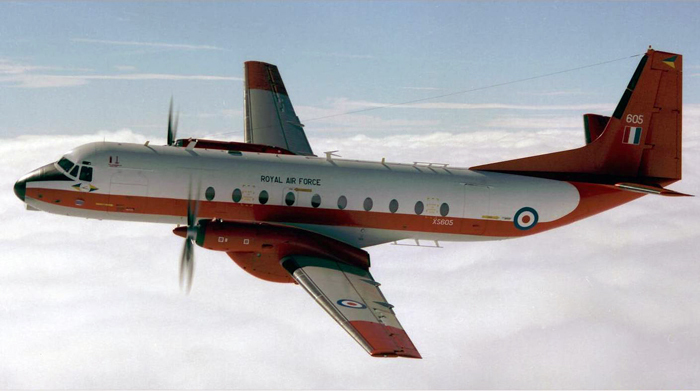 The same aircraft performed the final flights of the type in RAF service on 29th October when they were delivered to St Athan for storage pending possible sale. 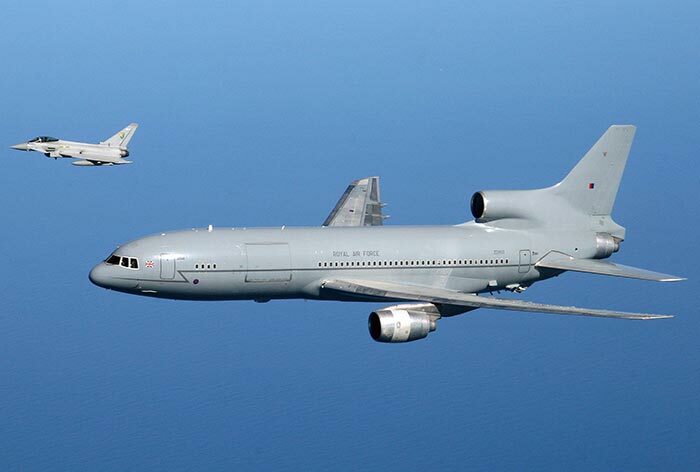 The last operational sortie of an RAF Tristar took place on 24th March 2014 when ZD948 carrying selected enthusiasts refuelled Typhoons and a Tornado shadowed by ZD950 carrying media representatives. The last ever landings of RAF Tristarstook place the following day when the final four aircraft were delivered to Bruntingthorpe. ; the final touchdown by K1 ZD951 occurring just before dusk. 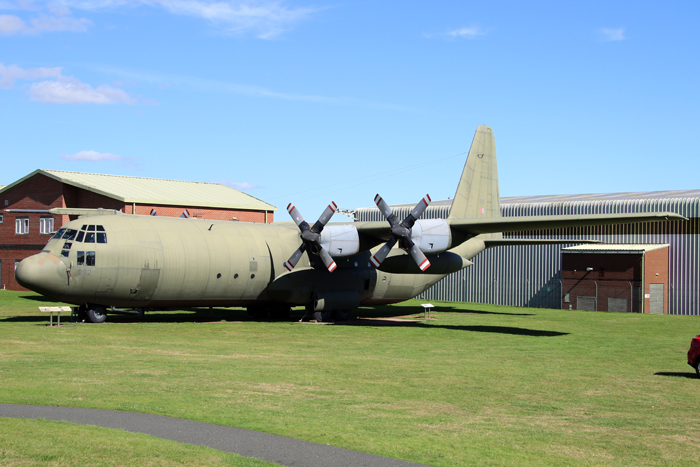 Fortunately, examples of two of the three recently withdrawn aircraft have found a home at the Royal Air Force Museum Cosford. Hercules C3 XV202 was delivered on the 12th August 2011 and now stands next to VC10 C1K XV808, commonly known as BOB,also a previous Brize Norton resident. Unfortunately, although the six Tristars delivered to Bruntingthrope in 2014 are still intact, it would be impossible for one to join the national collection. Whether a Tristar is eventually preserved remains to be seen. Hercules XV202 Courtesy of Richard Andrews. VC10 XR 808 Courtesy of Adrian Balch. 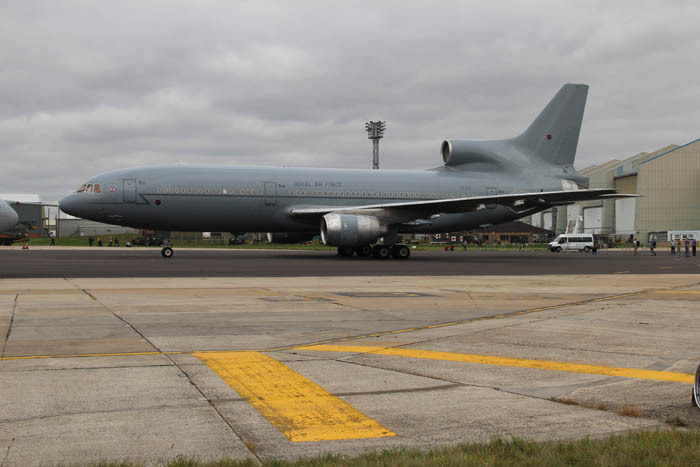 ZZ330,the first Airbus A330-243 Multi-Role Tanker Transport aircraft (MRTT) Voyager KC2 arrived at Brize Norton on the 5th April 2012.The reformed 10 Sqn became the first operator. Between February 2013 and September 2016 additional aircraft have steadily followed. Following the retirement of the VC10, 101 Sqn became the second Voyager squadron. The contract with AirTanker covers the acquisition of fourteen aircraft of which nine are to be available for the RAF at all times. The other aircraft are to provide surge potential but may be lease to commercial operators when not required by the RAF. Indeed, now having enough aircraft to meet the RAF requirement, some have been leased to UK operators. 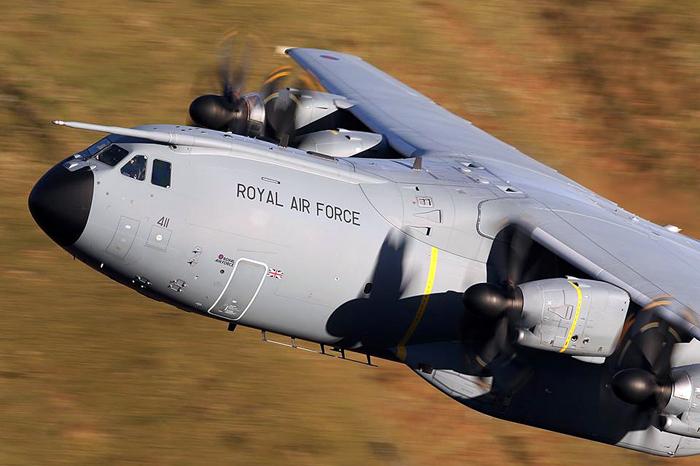 On the 17th November 2014 the first Airbus A400M Atlas, ZM400, was delivered to Brize Norton. 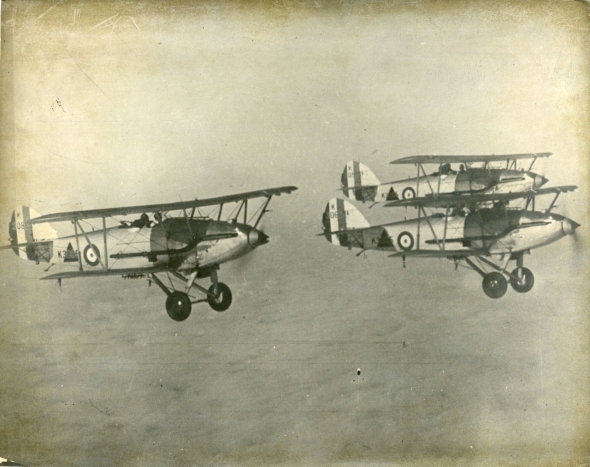 The original order for the RAF had been for 25 aircraft, subsequently changed to twenty two firm orders and 3 options. The original intention was that the Atlas fleet was to directly replace the similar number of Hercules C4 and C5 aircraft. 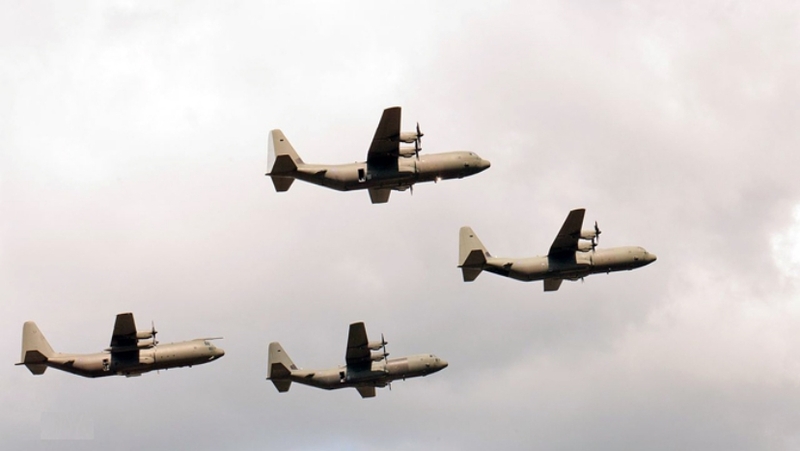 However, under SDSR2015, fourteen Hercules will be retained beyond the original out of service date (2022). Currently how this will affect the organization of the tactical transport force has not been announced. By the end of 2017 eighteen Atlas C1s had been delivered. In sharp contrast to the late 1970s, at the beginning of 2018 Brize Norton housed seven flying squadrons, flying Voyager KC2 and KC3, C-17A, Atlas C1 and Hercules C4 and C5.